There’s a new sheriff in town – and he’s barring internet threats from the premises. 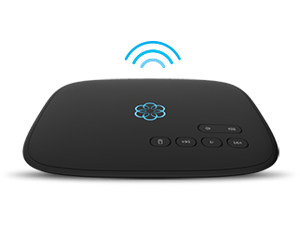 Starting today, Ooma is rolling out its new cloud-based Internet Security capabilities to Ooma Telo customers in the U.S. and Canada. The service is powered by Zscaler, a cloud-based internet security service that protects all devices from internet viruses and other objectionable content. Once activated from a user’s dashboard at www.ooma.com, Ooma Internet Security protects all devices on the home network, from 6-inch “phablets” running iOS 10 or Android Nougat to 16-inch laptops sporting Windows 10 or Mac OS Sierra. According to a 2015 study by PewResearchCenter, nearly three-quarters of Americans use the internet each day. American children in particular consume a whopping six to nine hours of media content daily, not including time spent on homework or school use (Common Sense). As digital screens continue to hold users’ attention with the irresistible lure of the interwebs, they are also increasing their exposure to potential threats and inappropriate content. Customers looking to safeguard their networks to monitor and ensure the safety of their families online can rely on Ooma Internet Security to protect an unlimited number of devices using any operating system within their home – all without the need for separate installations or licenses on each device. Users can customize access to specific sites, stay informed of their family’s internet activities and have peace of mind knowing that they can safely surf the web without worry. [if !supportLists]· [endif]Threat blocking: blocks access to websites that may contain viruses, spyware, malware or other internet threats. Content filtering: restrict access to inappropriate or objectionable websites using predefined categories. Customizable rules: create a custom list of sites to allow or block, and grant access to sites in real-time based on requests from users within the home. Safe search: actively enforce safe search mode on Google, Yahoo and Bing search engines. 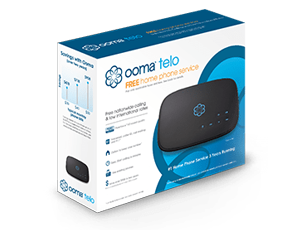 Users can try Ooma Internet Security free for 30 days or subscribe to the service for $5.99 per month for Ooma Telo Basic customers, and $4.99 per month for Premier users. Customers can also enjoy one free year of Ooma Internet Security with the purchase of an annual Premier subscription. Anthony Hizon is a Senior Product Manager driving development for Ooma Home Security. He also managed development for Ooma Internet Security and Ooma’s integration with IFTTT. Anthony holds an MS in Management Science and Engineering and a BS in Electrical Engineering both from Stanford University. So, I have an annual Premier Subscription. Does this mean I can get the Internet Security for free?